i-BEC is a non-profit and mission oriented international organisation and a public-private network that links local communities and countries in the wider Balkan area, with EU and UN agencies. i-BEC supports and co-develops with Aristotle University of Thessaloniki state of the art technologies and innovative research, for sustainable management of natural resources and environmental protection. i-BEC was founded on the 30th of July of 2007 by the Regional Development Fund of Central Macedonia, the Research Committee of Aristotle University of Thessaloniki and the Municipality of Lagadas in the framework of the project “Establishment of Balkan Environment Center” (BEC), through funds from INTERREG III / A, INTERREG III / B. 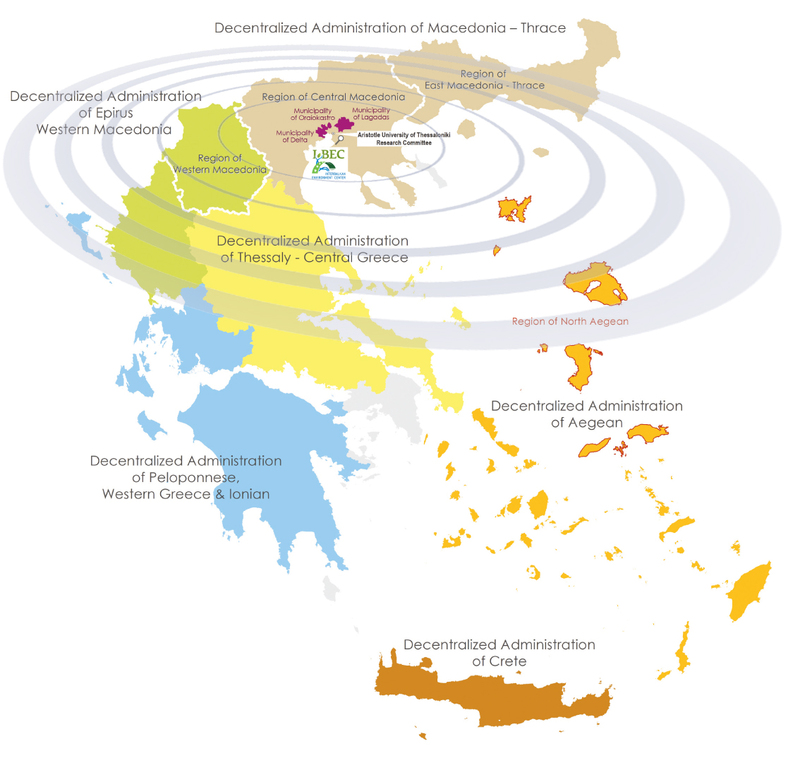 [six decentralized, four regional, three municipal, administrations and Aristotle University of Thessaloniki] so it represents the academic community and every level of public agencies. i-BEC, in partnership with the Aristotle University of Thessaloniki, is a key influencer on environmental research in Greece with more than 200 publications, mostly in international journals.